Acqua Plumbers are the experts to call if you need to repipe old systems. The Bevilacqua family has nearly 1,000 years of experience in the plumbing trade. From generations of inherited knowledge Acqua Plumbing can repipe old and new systems alike. Whether you need help fixing frozen pipes, or sewer replacement from pipes bursting Acqua has the skills to fix it. Here in Western Washington, the Seattle-Tacoma areas we every once in awhile get some bad winter weather. Some snow or freeze over of some sort, and beneath your walls, beneath your floors, there is an intricate network of water supply lines, drains and vents that make up your plumbing & sewer systems. In the cold weather months here in Seattle-Tacoma, your pipes may freeze, and without any warning or notice. When this happens give Acqua Plumbing a call! We will thaw and repair any frozen pipes and install heat tape to help prevent the pipes from freezing in the future. 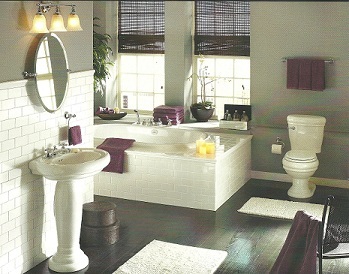 No Body Understands residential plumbing/sewer & repair better than Acqua Plumbing Western Washington's Smart Plumber. When receive your call we will go over some particulars over the phone to help us better address you of the problem when we arrive. Acqua Plumbing will diagnose any potential problems that there may be lurking out of sight. You'll get the information and options necessary to prevent future problems and costly repairs. For all your frozen pipe repair needs call Acqua Plumbing " The Pipe Repair Experts- TODAY!" Home repair for frozen pipes is a common problem. When the temperature starts to drop in the winter water inevitably freezes. Frequently homeowners will go out of town and turn the heat off to save energy. Unfortunately, without the heat on, the water in the pipes can freeze if temperatures are low enough causing the pipes to burst. In the normally mild Northwest climate a cold spell can catch people offguard. Since the cold is out of the ordinary here many people are not aware of the danger of frozen pipes. The professionals at Acqua Plumbing have plenty of practice fixing frozen pipes. It is a frustrating experience when you’re dealing with fixing frozen pipes, pipes bursting and sewer replacement. Acqua Plumbing understands what you’re going through and we are ready to help by fixing frozen pipes in your home. Make an appointment to get home repair of frozen pipes and learn how much sewer line replacement costs.